Dazzle up your house with festivity, the Peacock Candle Holder is the perfect fit to light up any occasion with some spark. It sets up a serene and gay temper while spreading some positivity across the horizon. 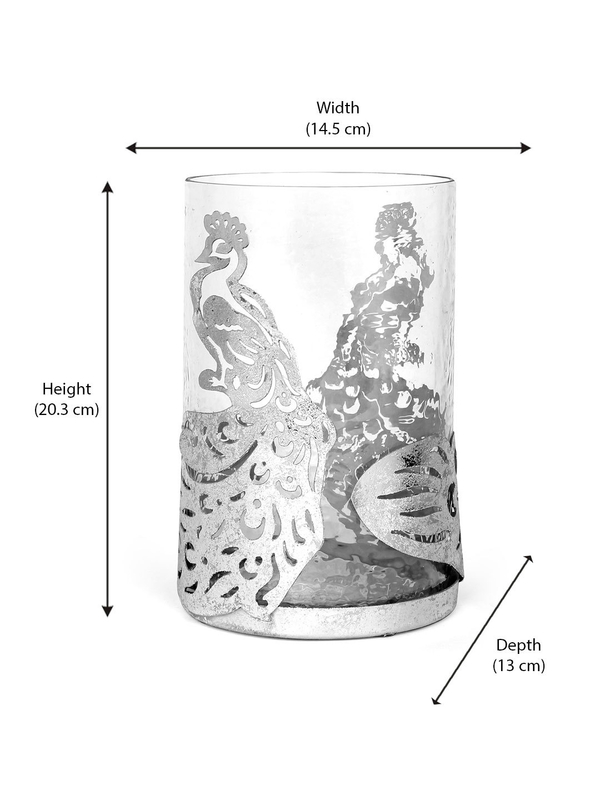 The eccentric silver peacock detailing can be easily detached from the glass holder, making maintenance an easy deal. The cylindrical structure puts out an elegant & eloquent image that will furnish your adobe with sheer pompousness. Hoard an array of fancy fragrance-full candles with the splendid Peacock Candle Holder.